Please send me a price for the UP-4743-NCD-Lip 48x44 used plastic pallet. The evenly-spaced 9 feet on the UP-4743-NCD-Lip plastic pallet easily allow 4-way entry for forklifts and pallet jacks. The low profile nesting design of the UP-4743-NCD-Lip plastic pallet saves space when empty for lower storage return transport costs. 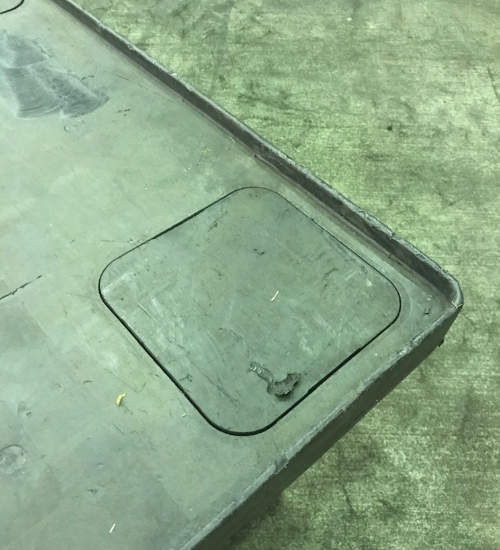 Our used UP-4743-NCD-Lip plastic pallet offers the expected reliability and quality of long lasting plastic at used pallet prices. 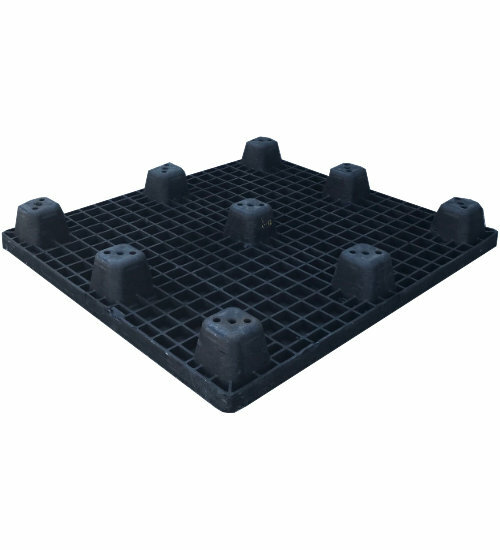 Plastic pallets like the UP-4743-NCD-Lip are lightweight and durable. Its uniform length and width provide ease of use and safety. One-way plastic pallets like the UP-4743-NCD-Lip let you send it and forget it making this a competitive alternative to pallet return options. Get more turns using the UP-4743-NCD-Lip multi-trip plastic pallet and easily win back startup costs with durable and reliable plastic. 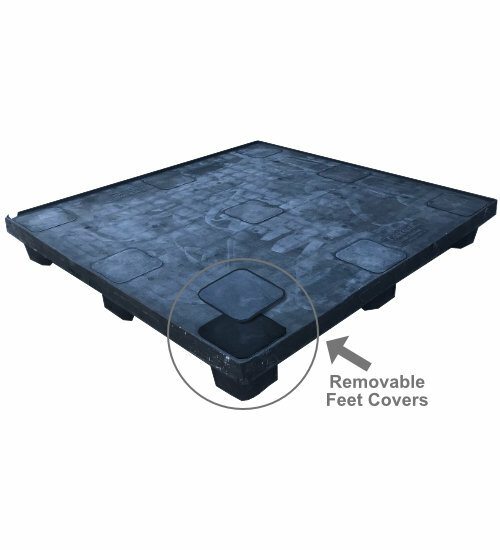 Use the UP-4743-NCD-Lip captive plastic pallet in closed loops to satisfy in-house reusability requirements with the reliability of plastic. 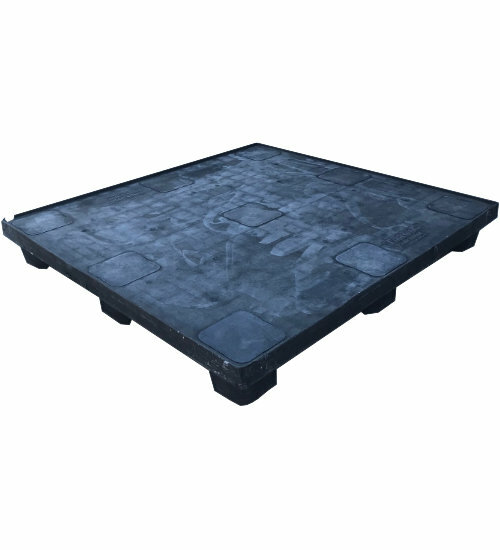 Save costs when shipping cargo via air with the UP-4743-NCD-Lip air freight plastic pallet. Perfect for single use and one-way air shipment. Old Cookson design featuring removable feet inserts. When covers are removed, pallets can stack 40 high. Is the UP-4743-NCD-Lip the right pallet for you?